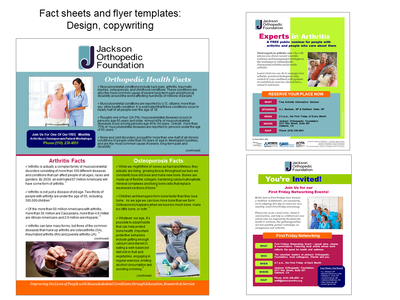 Jackson Orthopedic Foundation is an Oakland, California based non-profit providing education, research and service to help improve the lives of patients with musculoskeletal conditions. The organisation wanted to explain and evolve its new focus on clinician education. 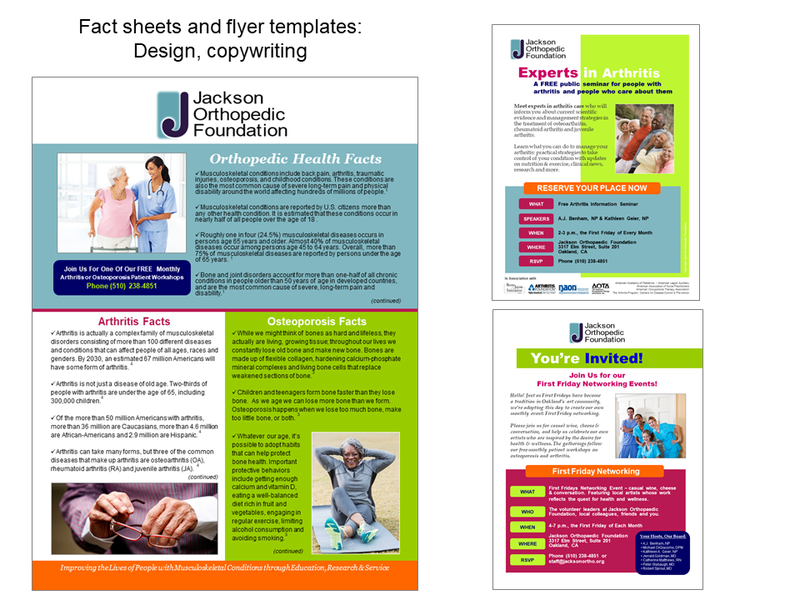 In short, JOF wanted to ‘recast’ nursing – helping nurses and nurse practitioners be able to take the lead in handling common bone, muscle and joint complaints in their daily clinical practice through training in diagnosis and nonsurgical treatment. 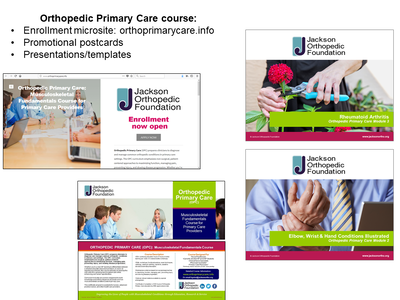 A cornerstone was JOF’s new six-month Orthopedic Primary Care course. 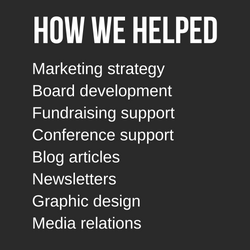 The organisation is volunteer run with limited marketing resources. Any activities would have be developed with this mind and with the ability to phase in items only as needed and to multi-purpose them when possible. Development was agile – testing quickly and determining ‘fit’ and usefulness before expanding or replacing. This helped the small operation stay nimble while it evolved and grew its reputation as an educational leader. We began at the beginning – helping JOF develop an official color palette so that we could begin to bring materials into alignment. From there we developed a set of user-friendly templates – presentation templates, event flyers, blog artwork, fact sheets, etc. – that quickly helped demonstrate a growing family of materials. 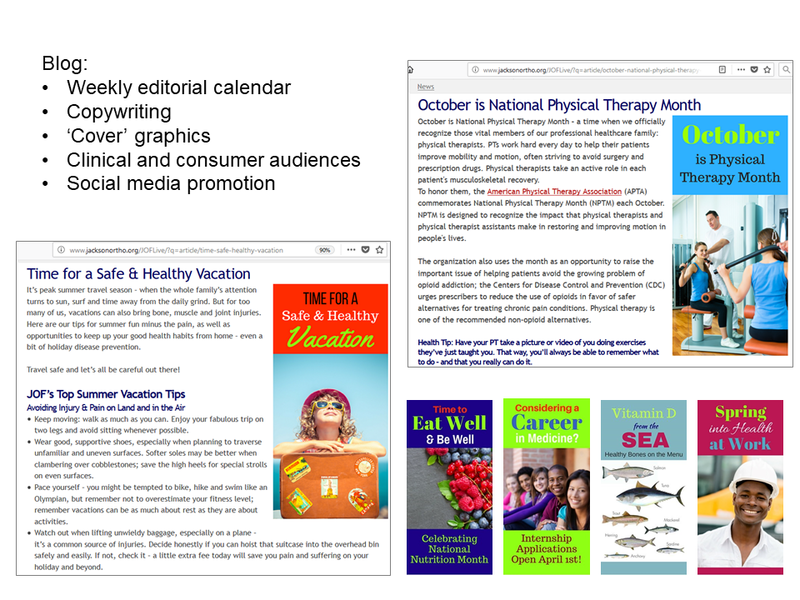 Imagery too was selected to better represent patient groups, as well as appeal to clinicians in a believable way. Hart also was able to advise on the marketing implications around fundraising techniques and improved board development. As JOF continued to define its focus on clinical education its reputation grew as a unique provider of nursing courses, as well as promoting the issue of the need for better orthopedic education among front-line clinical staff. With a solid marketing infrastructure and resource in place, the small team could focus on doing what it does best – making life better for patients.